Donahue, Caroline Elizabeth (Haines) passed away peacefully, surrounded by family on October 11, 2018 at the age of 98. Born November 24, 1919 in Reading, Pennsylvania. Proceeded in death by her husband of 53 years, James Leo; brother, Hunter; sister-in-law, Ruth Haines and parents, Herbert & Emilie Haines. Survived by children, Charles (Gina) and Peter; 2 grandsons, Karl and Kristian Donahue; several nieces and longtime friends. Carol travelled the world, first in the overseas Red Cross where she met James, then as an army wife, finally as an explorer of beauty. 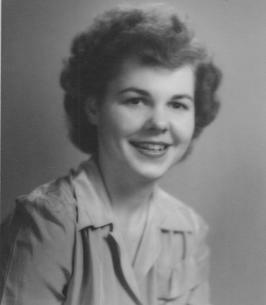 She loved art, especially the Minneapolis Institute of Art, volunteerism, and her family. Her strong spirit will be missed by the many lives she touched. Our special thanks to the staff at Becky's Place for their loving care and support. Memorial service will be held at St. Stephen's Episcopal Church, 4439 W. 50th Street, Edina on Saturday, November 24, 2018 at 11:00 AM. Visitation one hour prior with lunch reception to follow. Private interment at Lakewood Cemetery. In lieu of flowers, memorials preferred to the American Red Cross. To send flowers to the family of Caroline Haines Donahue (Haines), please visit our Heartfelt Sympathies Store. We encourage you to share any memorable photos or stories about Caroline. All tributes placed on and purchased through this memorial website will remain on in perpetuity for future generations.